YOU DON'T GET much more tragic than the tale of the Onassis family. Blighted by the perils of fame and bewildering wealth, they have been a regular feature in the headlines of society press for over half a century. Athina Onassis, the last descendant of the shipping magnate Aristotle may have hoped that with the passing of her grandfather, grandmother, mother and uncle, the family's curse might be laid to rest. At the age of 18 she became the world's richest teenager, and perhaps thought her huge inheritance would buy her happiness. But, as the young heiress approaches her 21st birthday, she looks set to begin the toughest, most closely watched feud of the family's history. She wants control of her grandfather's estate. And she wants it all. Athina Onassis was born on 29 January 1985, the daughter of Christina Onassis (Aristotle's daughter) and her fourth husband, Thierry Roussel. Three years later, Christina died of a suspected overdose, leaving Athina an estimated fortune of £340 million, to be inherited on her 18th birthday. That day came in 2003, but the windfall has been anything but a blessing. For the past seven years, Athina has been locked in fierce argument with her father over the control of her assets, and now - with the help of her 32-year-old Brazilian fiancé - she is taking on the board of Onassis' estate, as she seeks to become president of his charitable foundation. But to understand fully this latest twist, we'll have to go right back to the start. What ended as a Greek tragedy began as a fairytale. Aristotle Onassis arrived in the docks of Buenos Aires with $60 in his pocket, and proceeded to amass a multi-billion-dollar fortune in the shipping industry. He secured his personal happiness, too, by marrying Athina Livanos and having two children - Christina and Alexander. But the couple divorced in 1960 when Athina discovered his affair with the opera singer Maria Callas. He later left Callas to marry Jacqueline Kennedy, with whom he shared seven years before his death in 1975. The dream began to unravel when Onassis's son, Alexander, died in a freak plane crash in 1973. He was just 24 years old and both parents struggled to cope with his death. Within two years they too had both died: she from a suspected overdose of barbiturates; he from cancer. Christina was left as the only remaining Onassis and continued to live a lonely, desperate - if fantastically wealthy - life. At the time of his death, Aristotle Onassis's fortune was valued at around $500 million. In his will he directed that his estate should be split in two: half to be given to his daughter, Christina, and half to be invested in a charitable fund, representing what would have gone to his son. Although Athina will inherit the balance of her mother's share when she turns 21, it is the second half, the charitable foundation, to which she is now staking claim. The estate - which consisted of $426 million in cash and securities, more than 50 ships, Olympic Tower in New York, as well as the private Greek island, Skorpios - was divided into two lots, and Christina was asked to choose one. She picked lot B and then, as directed, handed back the administration of both lots to a board of trustees, whom Onassis had previously nominated. Having fallen in love with Thierry Roussel, Christina had fought to secure his affections - even tolerating the discovery that, while she was pregnant with Athina, his Swiss mistress, Marianne "Gaby" Landhage had borne him a son, Erik. When it emerged, three years later, that Gaby was carrying their second child, Christina admitted defeat and divorced him. 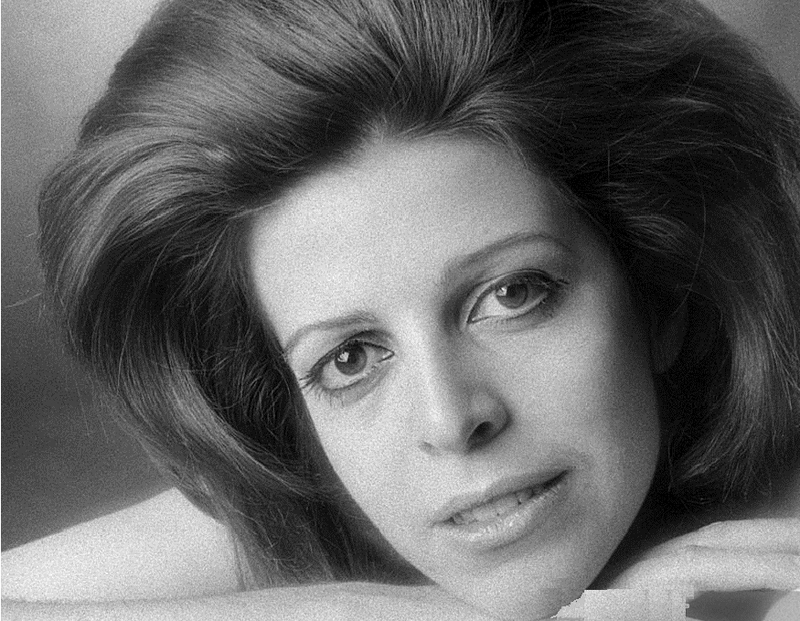 When she died her $400 million fortune - half of the Onassis estate plus the money she inherited from her mother - passed to three-year-old Athina. And that's when Athina's troubles began. In her will, Christina stipulated that Roussel - now married to Gaby - should have nothing whatsoever to do with Athina's fortune. 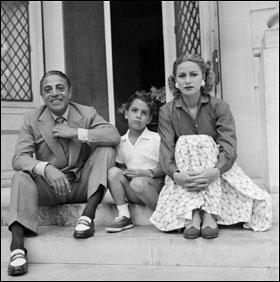 The trustees in charge of the Onassis Foundation were to give him a princely allowance for raising the girl, but investment decisions were to rest with them. Christina also instructed that Athina should be raised in the Greek Orthodox religion, and educated to speak Greek. Roussel was not happy. Not only was he unwilling to indulge Athina's Greek heritage, he had problems with the financial decisions of the trustees. Even though both halves of the estate had been handed over to the board, the success of each fund differed dramatically. While the charitable foundation had tripled in value to more than $1 billion, Christina's half, now Athina's, had merely doubled to $600 million. The board claim this was the result of Roussel's own bad judgment - he had requested significant withdrawals to fund Athina's upkeep and sold investments in the burgeoning shipping industry - but the friction grew so intense, they resorted to a court battle. It was during these legal proceedings in 1997 that Athina, encouraged by her father, denounced her Greek heritage. The notes from the Swiss Court of First Instance reveal that at the time she testified she felt "a great abhorrence to anything which is Greek although she [was] aware that her mother, her grandfather and her estate are Greek. She [wished] the four Greek administrators to go out of her life." Eventually, even the judicial system got tired of the bickering, and so in 1999, the authorities declared neither Roussel nor the board should administer Athina's wealth, and handed it over to the accounting firm KPMG. They controlled the fund until Athina's 18th birthday in 2003. You'd have thought it might all end there, but you'd be wrong. Until this point, Athina's relationship with Roussel had been turbulent, but intact. Roussel was renowned for his outbursts, yet commanded great respect from Athina as her only living parent. She was desperate to please him and always remained close to his side. Until this point. When Athina turned 18, Roussel battled for and won her power of attorney. He took control of her wealth and gave her an allowance of around $9,000 per month. Athina seemed happy and went off to indulge her passion and talent for horse-riding, at a prestigious school in Brussels. It was there she is reported to have met Álvaro Neto, an Olympic showjumper from Brazil. His friends call him "Doda". Roussel calls him: "My worst nightmare". The 32-year-old has become a strong force in Athina's life, and is blamed by Roussel's camp for Athina's transformation. Once his shy, obedient daughter, who wished to shun her heritage for a simpler life, she has become a strong-willed, determined character and it's not making life easy. The couple are due to wed in December, but sceptics - including Neto's former wife, model Sibele Dorsa - have suggested he is interested in more than her physical assets. Dorsa has spoken a number of times about his new partnership, saying: "He always told me he found her fat and ugly." While it's true that Athina's appearance has changed dramatically since their romance began others close to the couple insist he is simply encouraging her to step out of her father's shadow and take control of her own destiny. The honorary Greek consul in Brazil, Konstantinos Kotronakis - who will be Neto's best man - said recently: "Doda's been a strong influence, and a very positive one, in my opinion. He's the one urging her to take control of her own financial affairs... and not to turn her back on her Greek heritage." That heritage will prove crucial if Athina is to take control. First on her agenda was to win the complete rights to her fortune, thus removing her father's power of attorney. This she did by the end of last year, when she chose to settle with Roussel to the tune of a rumoured $100 million. The fight was fierce, but they've both accepted it as fair. Now she is seeking the second half of the Onassis legacy, the Alexander S Onassis Public Foundation, which she feels should be chaired by a member of the family. According to Aristotle's will, she could take over as president when she turns 21. Article six of the document instructs that: "The President of the Foundation will be a descendant of Aristotle S Onassis, so long as at least one such descendants shall be available and eligible by reason of attaining the age of 21 years, having the capacity to serve and being willing to serve." Sounds fairly simple: Athina, the only living relative, will be 21 in 2006, and is already willing and able to serve. Or is she? The current president, Stelio Papadimitriou, one of her grandfather's closest advisers, thinks not. In the May edition of Vanity Fair, he says: "This is the most prominent foundation in Greece. We are not going to turn it over to someone who has no connection with our culture, our religion, our language, or our shared experiences, and who never went to college... Athina's qualifications for the job are nil." Cynics would argue that it is for this reason that Athina renewed her Greek passport in 2003; hired a tutor to teach her Greek; and joined an Athenian horse-riding club with a hope of competing for the country in the Beijing Olympics in 2008. Or perhaps it is simply that she, as the last Onassis, wants to be at the helm. Given her mother's dramatic, and ultimately doomed, quest for happiness, perhaps Athina wants to command her own destiny. Much like our young Princes William and Harry, she is trying to balance the wishes of two families while forging a path of her own. And all the while, she will be mindful of her late mother's legacy, and the responsibility of carrying on her grandfather's work. Would we pour similar scorn over the princes' right to manage Diana's charitable patrimony? Perhaps it's time for Athina to be given a chance.